Want to spice up your photography life? How about a new lens? When considering optics, you have many things to think about: sharpness, distortion, durability, focusing speed, and cost, just to name a few. All of those factors are important. But before you get to the technical aspects, I offer five considerations that might help you narrow down the list of candidates. 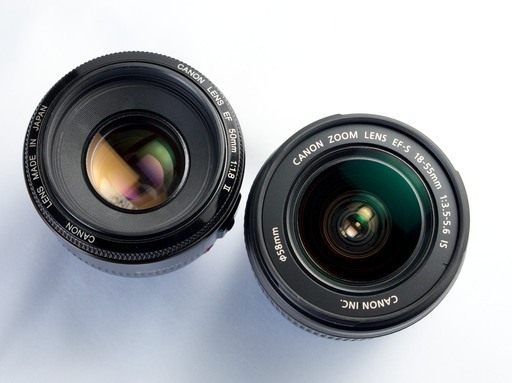 Your kit lens (on the right) is great for general photography. But what if you want to do something different? Maybe explore low light compositions? Consider adding a fast lens (left) to your kit. In my latest TechHive article, Five tips to help you choose a new camera lens, I cover perspective, maximum aperture, size and weight, stabilization, and emotional appeal. Once you've covered those bases, then you should have a short list of lens candidates to choose from.